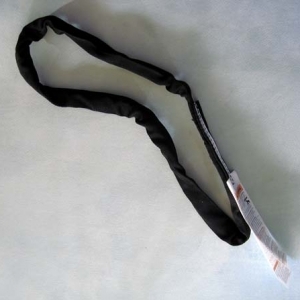 Select between 5 to 10 yards of tightly woven Special Order Aerial Fabric, comes assembled with two black sewn runners, three carabiners, one swivel, and one 24 inch multiple link. 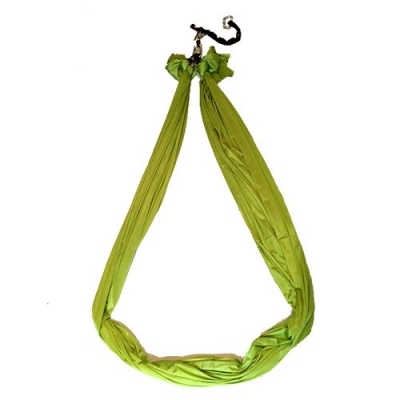 Single point hammocks are customized to come with 5 to 10 yards of Tricot aerial fabric with shine. It is the same aerial fabric as in the single point hammock except for the color. 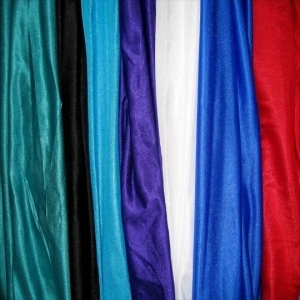 We do not stock the special order colors. Please allow extra time to receive special order Yoga hammocks. The fabric is attached on each end to two 9 inch long loop of 1 inch wide black webbing also known as a “runner” which is choked around the fabric. 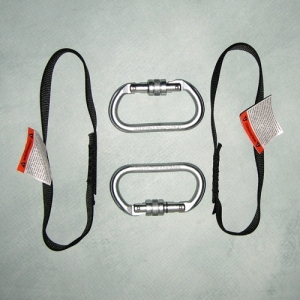 It comes assembled with one Swivel, one multiple link and 3 steel screw gate carabiners. The special order tricot is 100% Nylon, 40 denier and stretches on the width not the length. It is tightly woven, 108 inches or 9 feet wide. It breaks at 2,000 pounds of force. We can provide a certificate of strength if requested. The black sewn runners are rated at 3200 pounds and made with 1 inch black webbing. The multiple link is rated end to end at 4,000 pounds of force and each loop is rated at 3400 pounds. Both are made in the USA. The swivel is black working load 5kN and rated at 36kN. 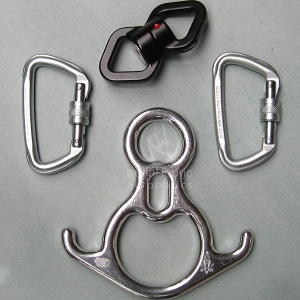 Steel screw gate carabiners rated at 50kN.